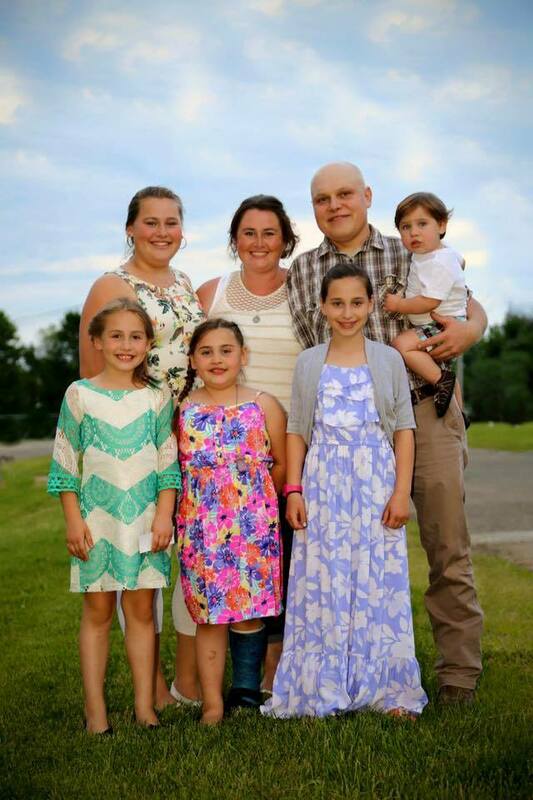 Dan Zinz was diagnosed with Sarcoma in 2012. Within two months, he had his right arm removed. It didn’t set him back at all. He kept right on working and simply stated he just had to change the way he did things, not what he did. He fought like a champ for three years, never complaining or asking “why me?” He continued to work his job as a geologist, coached softball for his daughters and even repaired lawn and garden equipment for extra money for his family. All this in spite of losing his right arm, five ribs, part of a lung and enduring endless chemo and radiation. His biggest concern always was taking care of his wife, Bessie and five beautiful young children. Even during his last few days, he was working. Quiting was never an option for him. He was enduring terrible pain and struggling to breathe, but he was not going down without a fight! He lost his inspiring, courageous battle on November 13th, less than a week after his 36th birthday. Dan was so loved by his family, friends, co-workers, fellow cavers, coaches and community for being the wonderful person he was. You can only imagine how hard the next few days, weeks and months are going to be for his family. Grieving the loss of their husband and daddy is going to be hard enough, without the additional worry of making ends meet. All proceeds from your donation will go directly to the family. In addition to this page, contributions can be made to the Dan Zinz Benevolent Fund at any Key Bank.